Lecturer: Prof. Troels Kristensen, Aarhus University, Denmark. 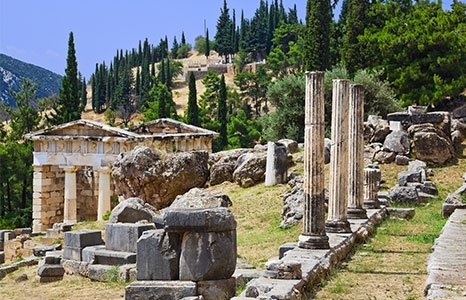 The archaeology of ancient Greek and Roman sanctuaries has typically focused on individual buildings and monuments as isolated units. This illustrated lecture, Dr. Troels Myrup Kristensen will present results from a recently completed five-year study on ancient Mediterranean pilgrimage, which tries to reconstruct the more complete world of these sites. Dr. Kristensen will explore the attempts by sanctuaries to provide evocative experiences through rituals, gatherings, and use of the landscape, how visitors moved between and within the sanctuaries, and how the experiences of pilgrims were shaped—as well as what new approaches can be used to identify patterns of movement and places of gathering at such sites.